Health and wellbeing means different things to different people. We’d love Frome to be a town where people live happy, healthy lives, where young and old alike make positive choices about their health and wellbeing and where people feel they have a sense of purpose and can contribute to their local community. However, for some people achieving this can be challenging because so many things affect our health and wellbeing, including where we live, our education, our income and the lifestyle choices we make. As a Town Council we want to support people in Frome to improve their health and wellbeing and so in December 2017 Frome Town Council agreed to adopt a Health and Wellbeing Strategy. You can see the Strategy here. The Town Council work programme shows what we will be doing on these areas of work over the next few months. It also highlights our work on community development and support for organisations; areas of work that are key to improving health and wellbeing. Health and Wellbeing Work so far…. We’ve established a Health and Wellbeing Forum. This meets twice a year and helps us decide where we should be focusing our work. If you’re interested in hearing more about the forum and when meetings are taking please you can sign up to our mailing list here. We’ve established a Sports Forum. This meets twice a year and is attended by various sports clubs and organisations involved in physical activity. The forum has identified different actions relating to sport and physical activity, in particular where we can work collectively to improve what’s on offer to people in Frome. If you’re interested in physical activity, run a sports club in Frome or want to be kept up to date on the work the Sports Forum is doing you can sign up to our mailing list here. We coordinate the Young People’s Mental Health Forum. Attended by a wide variety of agencies who work in Frome, this Forum is a useful opportunity for people to get together, hear what each other is doing and to help prioritise where more effort on young people’s mental health is needed. If you’re involved in mental health work with young people in Frome and want to hear more about the Young People’s Mental Health Forum please contact info@frometowncouncil.gov.uk. We’ve pulled together a list of organisations in Frome and beyond who can support young people who might need mental health advice, information or help. We’ve developed a page of information on workplace stress management and mental health. We’ve worked with various groups in Frome to ensure there are opportunities in Frome for people to learn to run or to run more. We’ve outdoor gym equipment that’s free for people to use – you can find this on the Old Showfield. Find out more about Frome’s Outdoor Gym here. 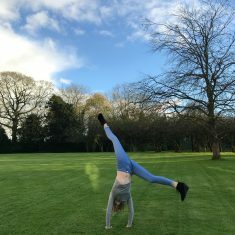 We’ve organised sessions for people who want to use the Outdoor Gym but don’t know where to start – read about the sessions here. We’ve brought Tennis For Free to Frome! 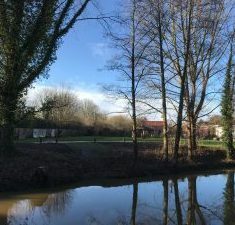 We commissioned the development of the Frome Town Profile. 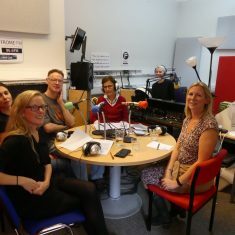 We’ve started a four weekly health and wellbeing radio show, called Radio Active. This broadcasts on a Thursday lunchtime from 12-1 on Frome FM – listen online or on 96.6FM. You can catch up with previous shows here. We’ve developed a series of walks (which could also be runs!) around Frome, which are all available online here! We host Mayhem in the Meadow in Rodden Meadow– a fun day out for people in Frome, where they get to have a go at various games and activities. The most recent Mayhem in the Meadow took place on 7th May 2018. We’ve implemented a series of multi-year agreements with various organisations working in Frome, which will help to improve the health and wellbeing of the people they work with. These include Fair Frome, Active and In Touch, Health Connections Mendip, Frome Community Education. We supported the establishment of Volunteer Frome. We also provide support for local organisations in a number of ways, including through our grant funds, training provision and fundraising advice. For further information on any these activities please contact info@frometowncouncil.gov.uk.